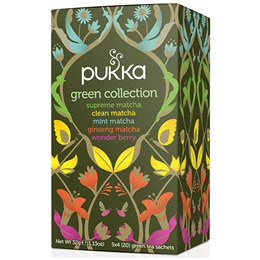 Bathe in a blissful glade of organic whole leaf green, berry and matcha teas with Pukka`s Green Collection. Five magical super blends. Dip into pools of magical matcha and whole leaf greens made brilliant with cooling mint and refreshing lemon. Welcome in the spring of ginseng and the wonder of nature`s berries. Every tone and dappled shade of nature`s finest organic green teas are here in this glade. Let every step bring you closer to a green world. Enjoy the waves. 100% organically grown and ethically sourced ingredients: Sencha green tea (34%), Pin Ho Wild Jade green tea (32%), Indian green tea (32%), Matcha powder (Jeju Island Emerald) (2%). 100% organically grown and ethically sourced ingredients: Sencha green tea (40%), sweet fennel seed (10%), dandelion root (10%), licorice root, nettle leaf, lemon essential oil flavour (6%), turmeric root, lemon whole (4%), lemon myrtle leaf, Matcha powder (Jeju Island Emerald) (2%). 100% organically grown and ethically sourced ingredients: Sencha green tea (60%), spearmint leaf (28%), fieldmint leaf (10%), Matcha powder (Jeju Island Emerald) (2%). 100% organically grown and ethically sourced ingredients: Jeju Island Sencha green tea (50%), lemongrass, ginger root, licorice root, lemon Vana tulsi leaf, lemongrass essential oil flavour, Matcha powder (Jeju Island Emerald) (2%), red ginseng root (2%). 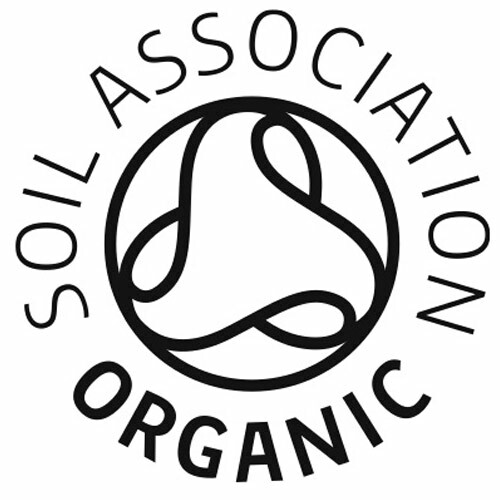 100% Ethically sourced ingredients: Green tea* (24%), peppermint* (12%), ginger root*, licorice root*, beetroot*, acerola fruit*, echinacea leaf and root*, elderberry*, rosehip* (4%), orange essential oil flavour*, natural blackcurrant flavour. Bring these incredible herbs alive by infusing in freshly boiled water for up to 15 minutes. Supreme Matcha Green: infuse in freshly boiled water for at least 3-5 minutes. Below are reviews of Pukka Teas Organic Green Collection - 20 Teabags x 4 Pack by bodykind customers. If you have tried this product we'd love to hear what you think so please leave a review. These green teas are interesting and cannot work out which one I prefer - guess I need to keep drinking them to find out my fav!! 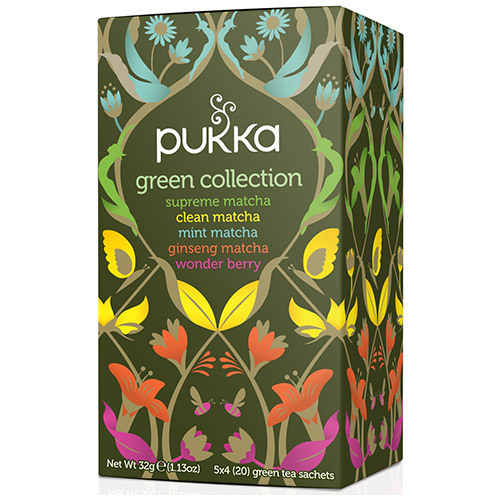 Bathe in a blissful glade of organic whole leaf green and matcha teas with Pukka`s Green Collection. Five magical super blends.